What happens when you purchase or receive a slew of pretty things over a few months? You end up with a stack of a few bits and bobs. I have been wanting to share them with you for a while so I finally decluttered my little stash and took some photos to share. The first two photos are from a pen pal type of swap that I made with someone in London. I think my favorite two bits are the vintage double decker bus toy and the Doctor Who brooch. Doing this made me miss pen palling which I had done between the ages of 14 and 22. This was such fun to do! The third photo contains a mesh of different things. A vintage 1960's yellow crocheted headband, some plastic headbands I scored at the dollar store, a clutch purse from Candy Strike, a pair of glitter donate earrings from one of my Glitterati monthly boxes, and some goodies given to my by my friend Brittany from Va-Voom Vintage. I believe there is also a headband I purchased in Florida during my trip in October in this photo as well of nifty faux cat eye glasses. The final photos include a bunch of things I scored while at my trip to Disney in the fall. There were so many fun things that I saw in the stores but I scored a headband, a cell phone wristlet, a scarf, and a few other little things. I thought they were fun yet subtle pieces that I could wear on a daily basis. Do you have stashes of goodies just piling up in your home? What are they? Are you like me and you forget what you have piled in the stash? I think decluttering my pile and sharing it with all of you gave me a chance to put things away and incorporate them into my everyday stuff. Finally! 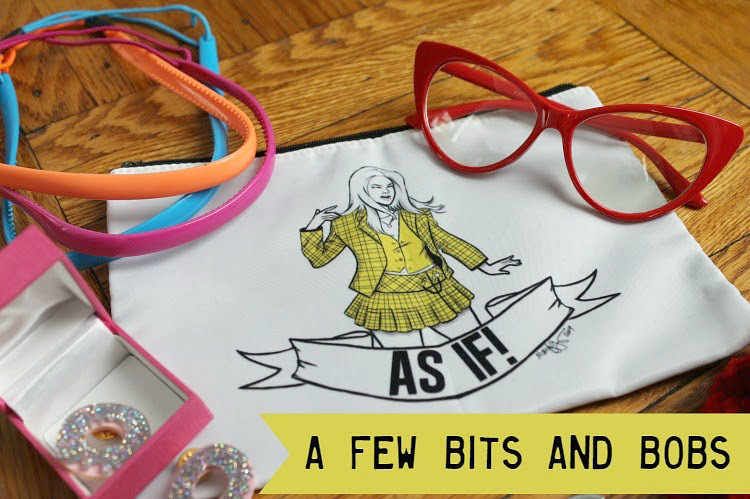 Delightfully fun assort of items. The snood and 60s headband in particular jumped out at me. 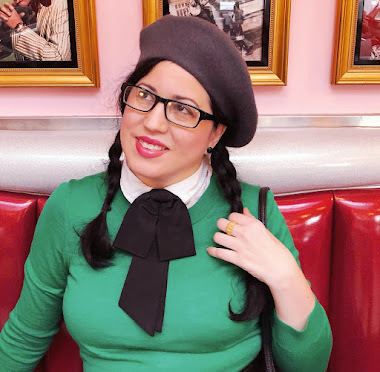 I'm one of the folks who feels like their head is "naked" if I'm not wearing so kind of accessory (hat, hair flower, headband, barrettes, etc) on it, so I'm naturally drawn to cute, classic choices like both of those.